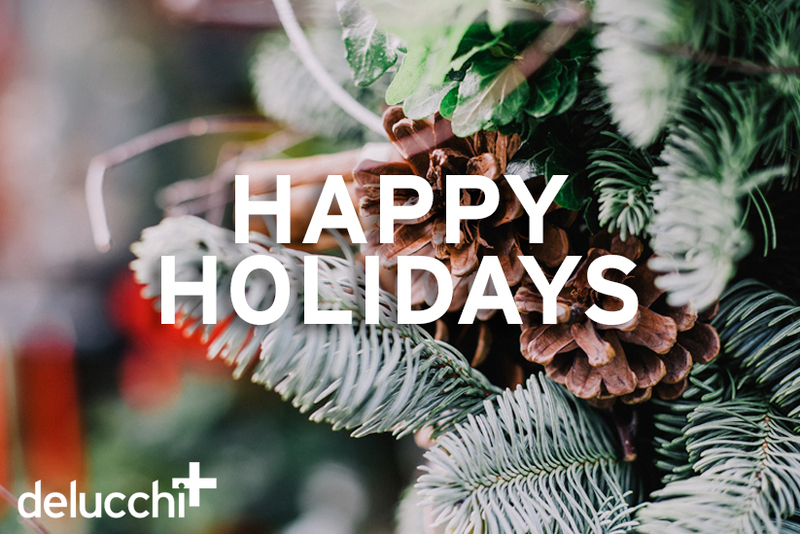 Happy Holidays from Delucchi Plus! As we look forward to entering our 10th year of business, we’d like to extend our warmest thanks to all of our clients, friends and family. Delucchi Plus is (and always will be) about the people who band together to create great work, make a difference, give back to the community and help our clients grow. As we continue to evolve, we want to thank everyone who has been a part of our Delucchi family! 2015 has been a whirlwind year for Delucchi Plus — between announcing our Research + Insights product line, helping our client ABC Bakers’ Lemonades’ Facebook page grow to more than 100,000 fans, a new partnership with Nike to elevate its presence in Washington D.C., and continuing to break new ground with our longstanding real estate clients, we’re feeling great about our year of progress in 2015. We are committed to giving back to the local community: Delucchi Plus was happy to feature theWashington Humane Society as our charity of the year in 2015. We’ve been helping WHS increase its local awareness and position itself as a leader of humane societies across the country. It’s been an amazingly rewarding (and adorable!) experience, and we can’t wait to continue growing our relationship. This year, in addition to earning a top-five spot on The Washington Business Journal’s Book of Lists, Delucchi Plus was recognized as the largest LGBTQ-owned company in Washington, D.C.and one of America’s fastest-growing companies on The Inc 5000! Thank you for making 2015 great — we wouldn’t be where we are now without the continued friendship and support of our family, friends and clients. Have a happy holiday, and see you in 2016!